Personalize Your Wedding with Must Be Monogrammed! 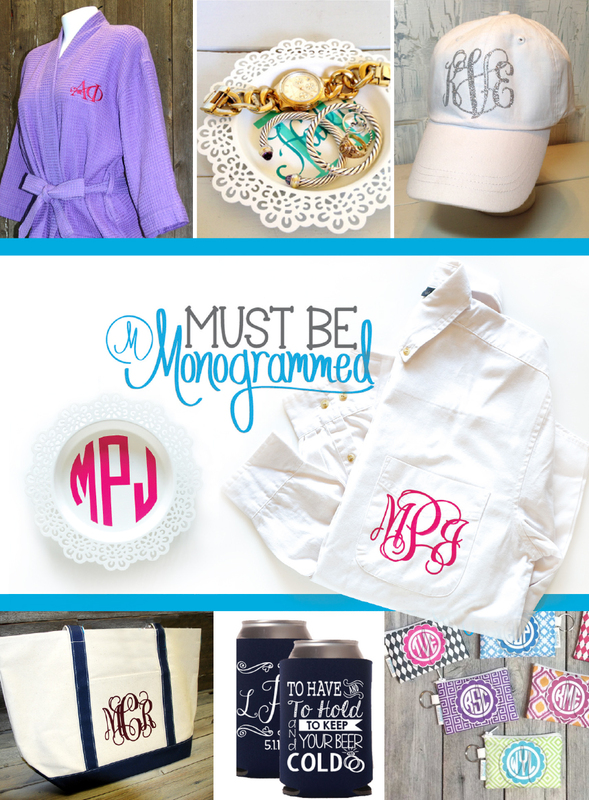 Must be Monogrammed is your one stop shop for all things monogram! Many of their products are handmade in the studio, giving your purchase that added touch of charm. Give your maids a personalized shirt or robe to wear while getting ready, and have the perfectly captioned coozies for your groomsmen. With an endless amount of personalized gifts, you are sure to find what you need to complete your wedding day!